Lately I’ve been a bit brain-dead. That’s what happens when you move to a six-day work week I guess. I sort of feel like I’m walking around as a shell and I’ve left my brain back at home in bed. I have no idea how women work full-time and make a wedding happen. It certainly feels like time is getting away from me! It’s almost May! Ack! 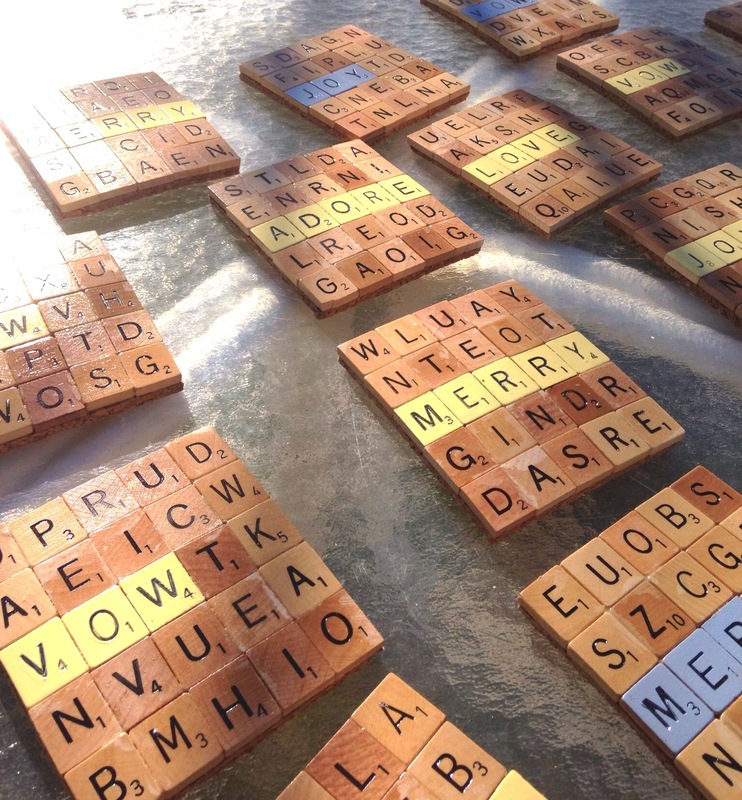 Fortunately I can now cross favors off the wedding DIY list! 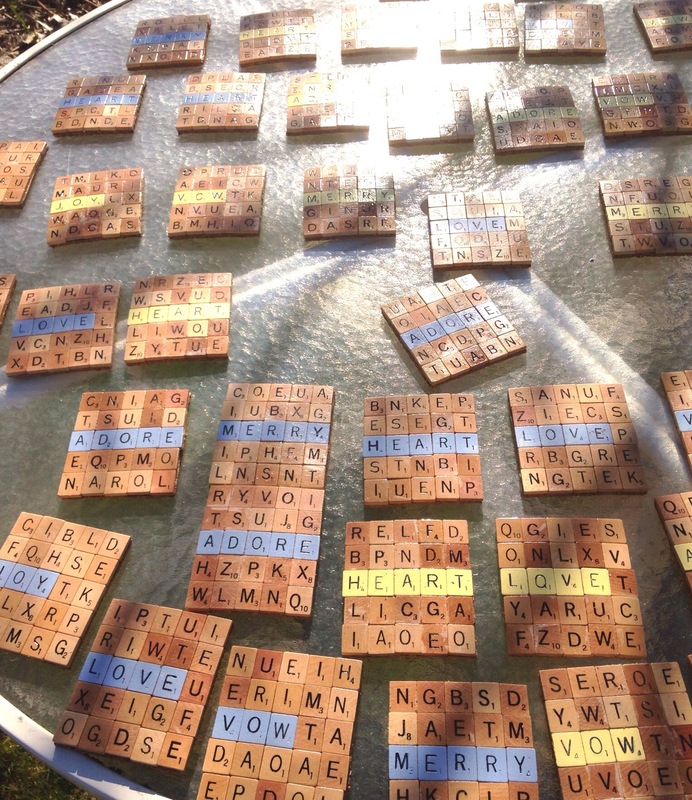 If you want the full tutorial for this Scrabble Favor, click here! Now, on to the next project! So worried about getting done on time! These are just gorgeous! Well done you!